Members of the military receive free admission in July. 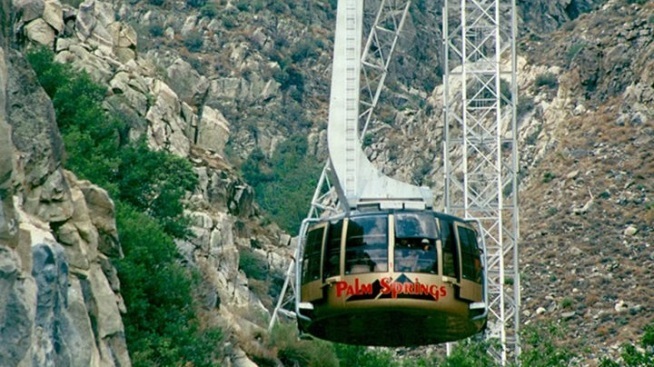 Military personnel can enjoy free admission on the Palm Springs Aerial Tramway in July. FREE ADMISSION... for military personnel over the 31 days of July, and not just around Fourth of July weekend. You'll want to have your ID to show at the ticket counter, and you'll want to let any guests joining you that they'll get 25% off (and that's up to six guests, which is pretty dang great). So what can you do at the top? Explore Mount San Jacinto State Park via the 50-plus miles of trails, or have lunch at Mountain Station, which has both a quick-grab cafe as well as a sit-down restaurant (with incredible views of the Coachella Valley). And are summer hours a bit different at the tram? They are, with slightly later cars on Fridays and Saturdays, as well as an early start on Friday mornings. It's a lovely show of gratitude for the our military members and their loved ones and friends, and an easy route to staving off some of those thermometer-testing summer days. A mountain trip, one that can happen in mere minutes, is always kind of the solution come July, and for free? Even sweeter.